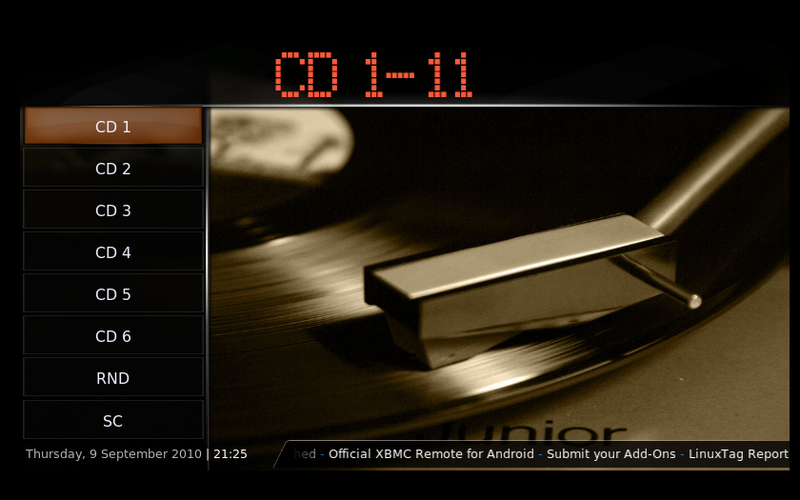 As main software I am using XBMC. This is a realy nice open source project which is free and provides a really nice multimedia interface. 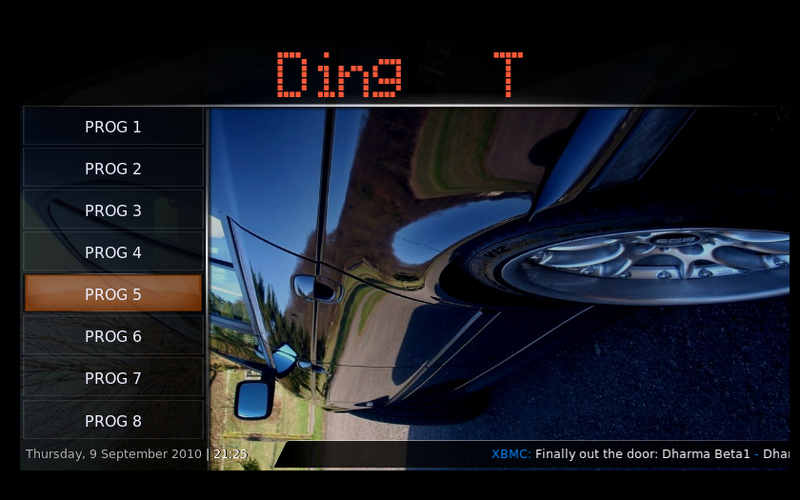 Currently I am writing a plugin for this software to control core BMW equipment. 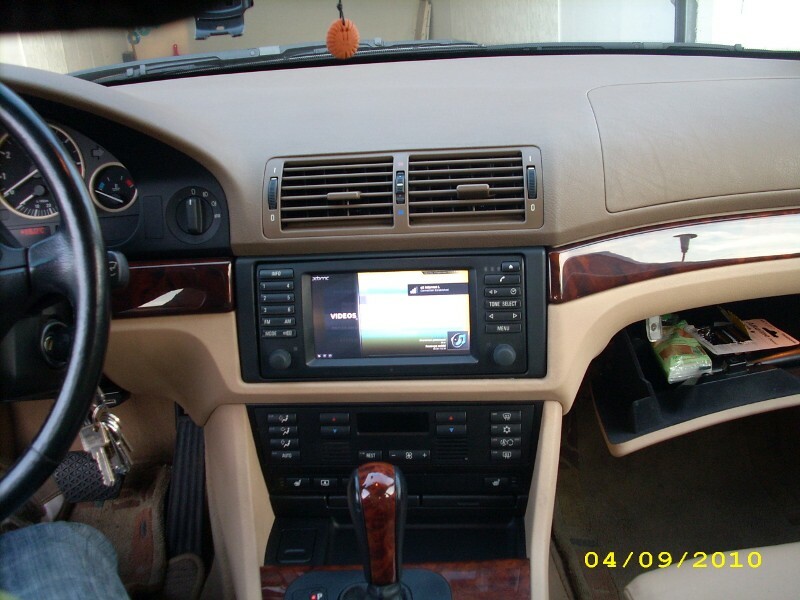 For the first, I am only interested in controlling the main radio. Although main radio (BMW Professional RDS) is controlled by the left button field of the OpenBM device, I still don't have any nice graphical interface to control the radio. So, I hope I will be done in next weeks with the first version. Both videos showing OpenBM in action. In the background the gateway in version 0.10 is running, which is capable of transforming IBus messages into key press events. Enjoy :)! Last video I made showing the whole stuff in the car. 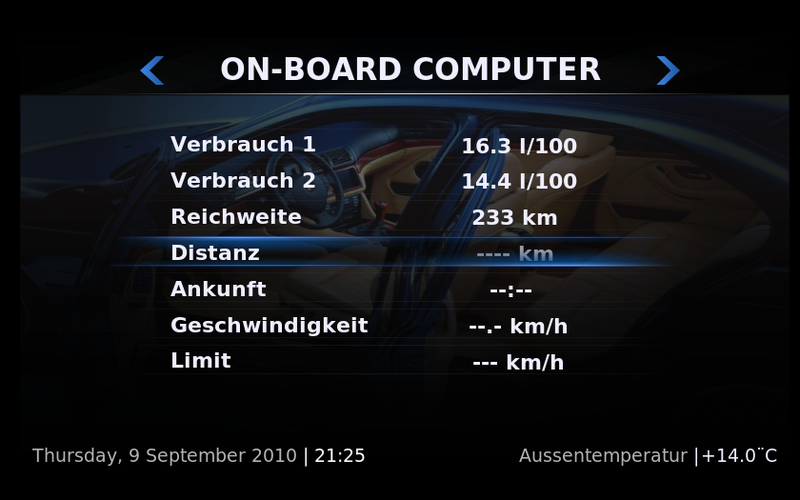 On the video one can see how the control of original BMW radio is done through the OpenBM as also a control of all other nice multimedia stuff is shown. Enjoy it! Since I do not like to remove any of the BMW equipment out of the car, I do need to write plugins to control those. This way everything stays mostly OEM. So following is a small overview incl. screenshots showing couple of those plugins. 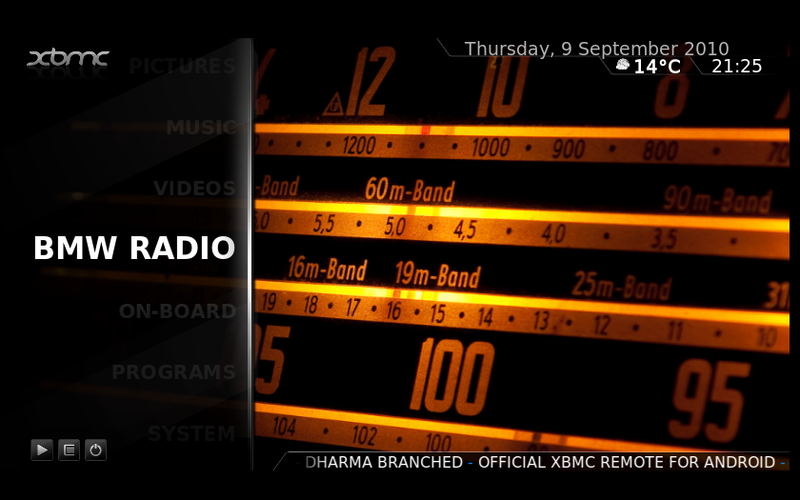 Last screenshot shows that since radio or cd-changer are on, video can still be played in the background. 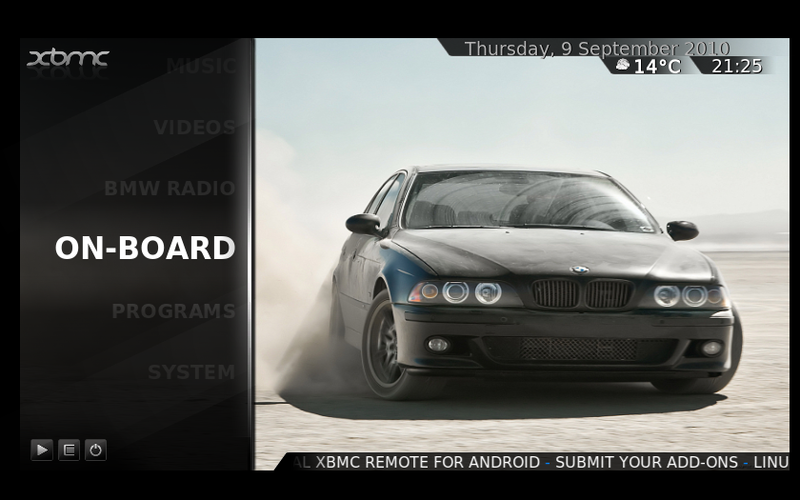 The radio plugin can either be enabled by press to the 'BMW Radio' button in the main menu or by pressing the 'MODE' button on the bordmonitor device. The on-bord computer (OBC) plugin is responsible for showing the bordcomputer data from IKE. The data includes consumption, range, distance, temperature, etc. The obc can be controlled too, hence resetting of the values is supported. Additionally, currently in the development, I will put here telephone control as also self-made obc data fields, with better statistics and more functionality.